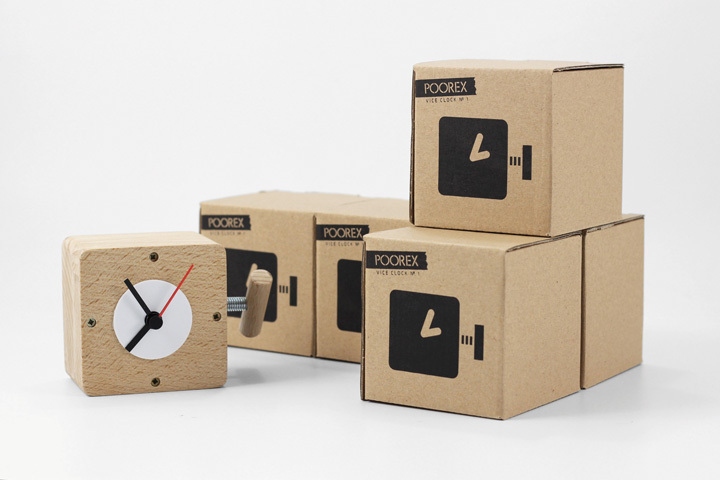 The first one seems to be an inconspicuous device winded by a traditional clock key. 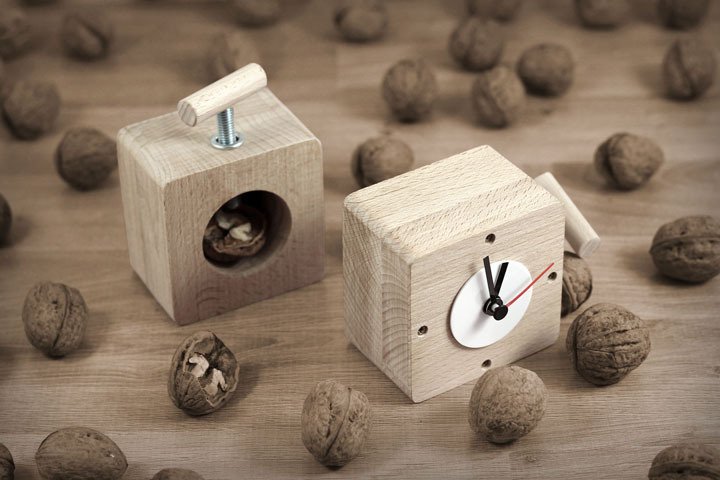 It turns out, however, that while winding up the clock, we actually crack a walnut hidden inside. 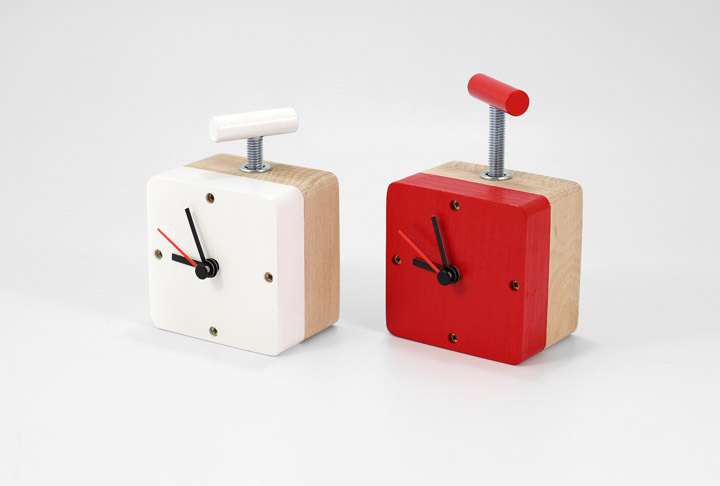 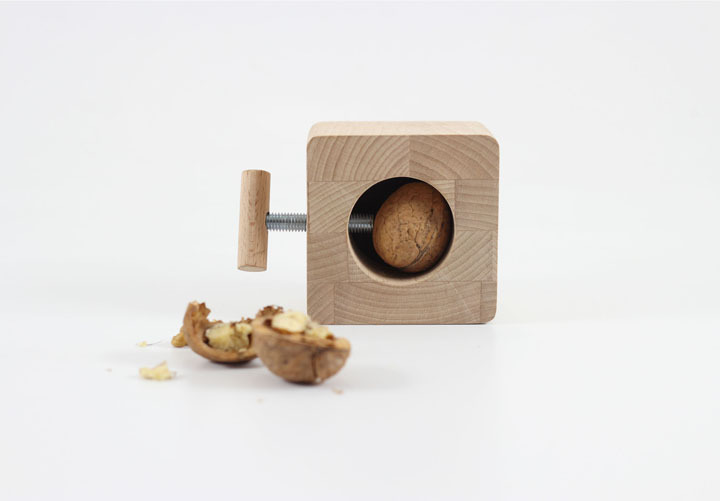 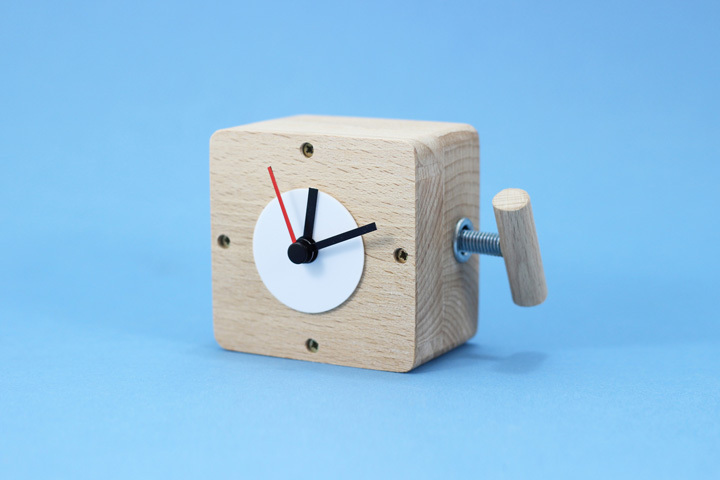 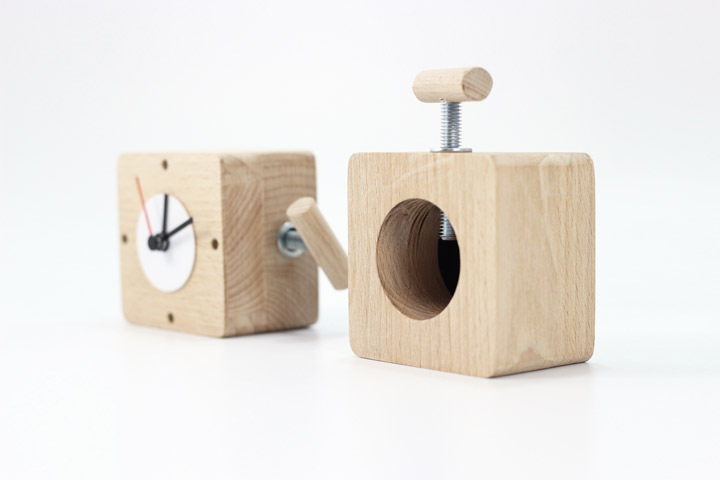 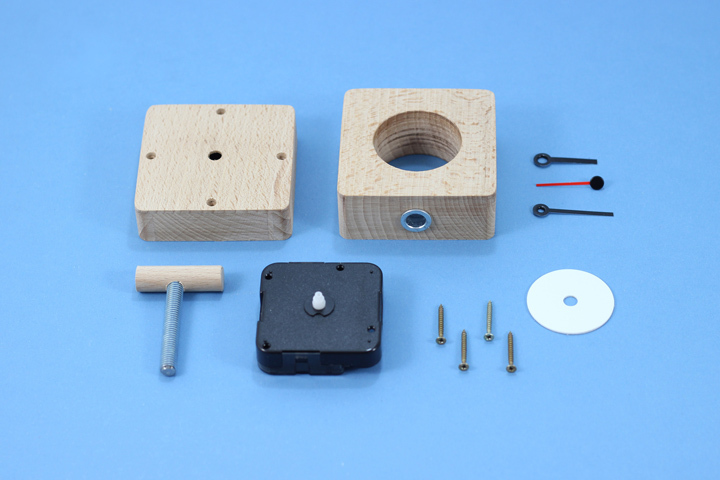 And the object is a hybrid of watch and nutcracker.